Introducing FLEXIBLE ARCHITECTURE 300 x 300mm by Philippe Starck. Various colours are available in matt and gloss, in 5 edge profiles, enabling the combined use of different thicknesses and surface textures. This results in an unlimited range of combinations, allowing the flexibility to create your own spectacular configuration. Suitable for wall applications. Click here to download the FLEXIBLE ARCHITECTURE 300 x 300mm PDF brochure. FLEXIBLE ARCHITECTURE is also available in a 600 x 600mm porcelain floor tile series. 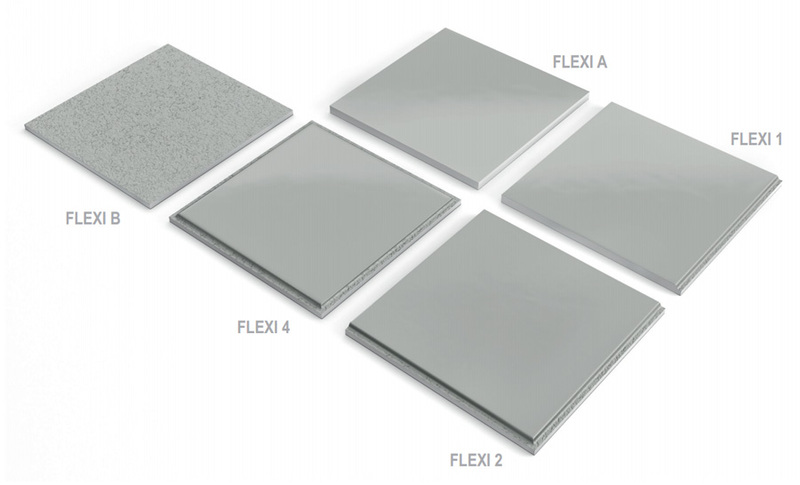 Click here to view the FLEXIBLE ARCHITECTURE TECHNIC 600 x 600mm porcelain series.